Tiger Lotus is a fairly uncommon aquarium plant by comparison to some of the other kinds available on the market. 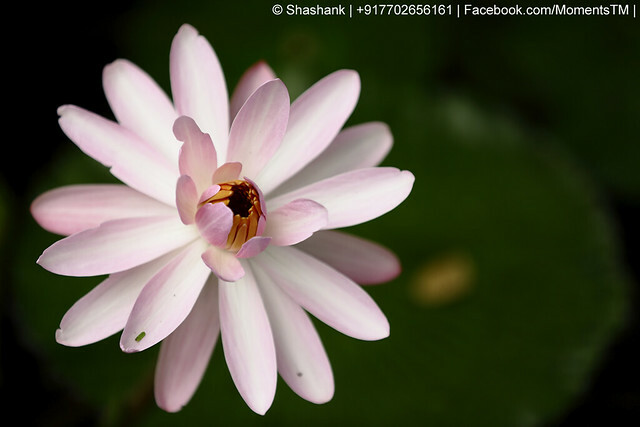 Its full latin name is Nymphaea Lotus, a member of the Nymphaeaceae family. It is normally found growing in East Africa and South East Asian. The ancient Egyptians used to extract perfume from the flower of this plant and it is popular for aquarium use. The white lotus of the flower is very beautiful, normally pure white although it may also be tinged with pink. The Egyptians used the lotus as a temple offering, funerals and were also commonly worn by women. Given decent lighting and good conditions, it will grow visibly daily although some sources regard it is a slow grower when compared to alternatives. It is normally found on ponds and marshes. There is nothing special that is really needed to be successful with this plant in your aquarium. Co2 injections or liquid fertilizers should not be needed, although it will grow slightly faster under stronger lighting. Keep in mind the plant will grow to roughly forty-five centimeters and prefers warm, slightly acidic water. For the sake of the Tiger Lotus and your fish, it is important to make sure you keep on top of regular water changes. It is possible to trim the lily pads and just keep the underwater foliage without any negative effect on the health of the lotus if this would be easier in your aquarium. Planted aquariums generally do better than non-planted ones for the simple reason that plants contribute to keeping the water quality at a high standard. They also compete with algae and cyanobacteria for nutrients which means they can aid you in keeping your aquarium clean. Many species of fish feel safer in a planted aquarium as it gives them somewhere to hide and is a closer resemblance to the natural ecosystem they evolved in. These factors contribute to the overall health of your fish. Given the right conditions and loving care, Tiger Lotus is a good alternative to more common plants. One of the main reasons to consider using it in your aquarium is that it will offer the same benefits as other plants, but also grows some beautiful flowers. As long as you are attentive to any problems that may develop and choose a nutrient rich substrate your Tiger Lotus will reward you for a long time.